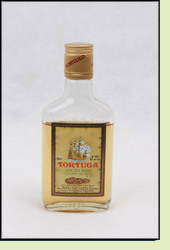 Andy: Tortuga Spiced Rum has no bite, harshness or flavor. It’s almost watery. There is a slight hint of nutmeg and vanilla, but they are really barely there. What little flavor was in the rum when tried straight completely disappeared when mixed with Diet Coke. I would definitely look elsewhere and avoid this rum. Adrian: I was expecting far worse. This really has very little flavor and a very light color which goes along with its light flavor. It really isn’t good but I was expecting worse.